It is with great sadness that the family of Maxwell Warren Ikaika Walker of Sonoma, CA, announces his unexpected passing on Tuesday, January 22nd, 2019 at the age of 32. Max was born in Southern California to LaVerne Merrill and Craig Walker. 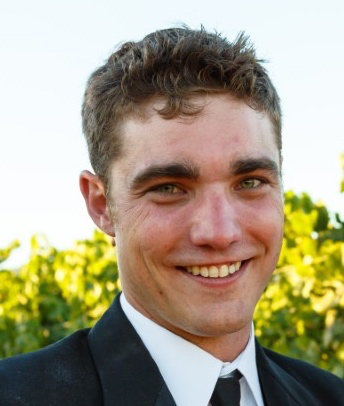 He spent the majority of his life in Sonoma CA, graduating from Sonoma Valley Academy in 2004. Max loved cooking, hunting, and designing and building things with his hands. He was funny, charismatic, and well loved by all that knew him. Max will be lovingly remembered by his parents, Craig Walker and LaVerne and Sidney Merrill and his son Westin and Westin’s mother Margaret. He will also be forever remembered by his siblings Mia (Cristian), Nicole (John) and Garrett, his grandparents Charles and Carol Walker, Kay Tokihiro and Richard and Arlene Gates; his nieces and nephews, Mikayla, Caden, Alessandra and Luca and his many aunts, uncles and cousins. Services are scheduled for Thursday, January 31, 2019 at Tulocay Funeral Home and Cemetery at 411 Coombsville Rd, Napa, CA 94558. There will be a public viewing 10:00-11:00am, followed immediately by a service, burial, and reception. All are welcome to attend and celebrate Max’s life.